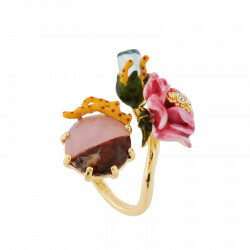 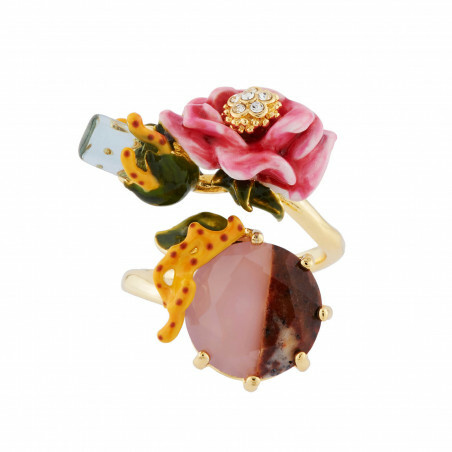 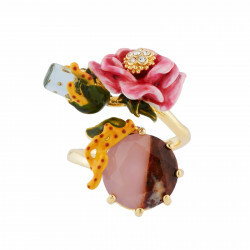 This ring is made up of a two-tone hand carved glass decorated with a crystal, coral and a small flower made from hand enamelled brass in pure Néréides Paris tradition. 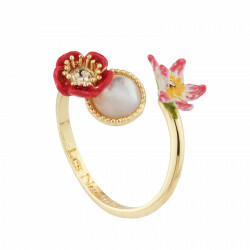 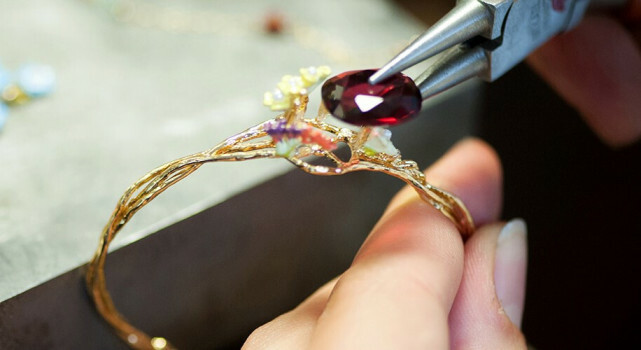 The centre of the flower is enhanced with delicate little rhinestones. 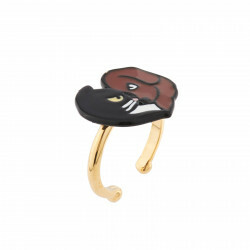 As for the band, it is made of 14 carat gold plated brass.